There are two key parts to email marketing success. One is to get subscribers to open your email. The other is to get them to click on a link to learn more about your offer. According to MailChimp, the average open rate is 20.81 percent. However, the click-through-rate is much lower at just 2.43 percent. This means that only a small fraction of people will actually click on your link. So how can you improve your click-through-rate? One technique that marketers are having success with is email GIFs. These are simply short, animated clips like this and are typically two to six seconds in length. GIFs are incredibly popular at the moment and all over social media. There are even databases like GIPHY that are solely devoted to GIFs. Using them in email is the natural next step in their evolution and something that more and more brands are taking advantage of. There are three main reasons why email GIFs work so well. First, they’re natural attention grabbers. Images have proven to work well in emails because they provide the visual stimulation that many subscribers seek. GIFs take it to the next level because they’re animated. But at the same time, they’re very quick, so a reader can instantly absorb the message. This is often preferable to video content that may take several minutes to view. Next, they help emphasize key features of your offer. There will naturally be certain parts of an email that are more important than others. Email GIFs make it clear what the takeaway is. Finally, they’re entertaining and fun. Although lawyers don’t necessarily want to get “too cute” with this medium, it’s a great way to create a connection with subscribers and show a personable side of your law firm. It’s just a matter of ensuring your content is in good taste. Now for the important question. How big of an impact do email GIFs have on click-through-rates? Studies have found that it can increase them by as much as 26 percent. That’s huge! Incorporating a medium that’s new and fresh like this can do wonders for increasing email engagement. 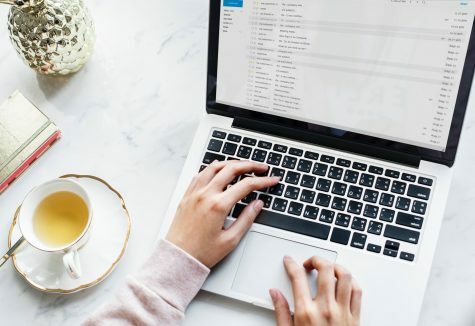 Often, it can mean the difference between someone quickly glossing over an email and simply going back to their inbox and someone clicking on a link and checking out your law firm’s offer in detail. To learn more about how to use GIFs in your email marketing, I recommend reading this guide from Chamaileon. It offers a ton of great examples so you can see how brands are incorporating GIFs. I also suggest this one from Litmus. It will walk you through the nuts and bolts of creating your own GIFs and the logistics of effectively delivering them to your readers. Email marketing continues to be one of the top strategies for lawyers. But one thing that many struggle with is low click-through-rates. As we’ve just learned, email GIFs can be a great cure for this and should increase the number of people who check out your offers.